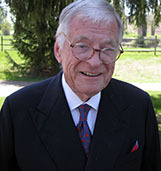 John J. McCloy II attended Deerfield Academy and Princeton University. Graduated in 1959. Spent three year in the US Army as an officer. Was stationed in the US and Germany. Joined Brown Brothers Harriman & Co. in 1962. In 1976, was appointed General Manager of MEFA Financial Consulting Associates. MEFCA was a joint venture owned equally by Brown Brothers Harriman & Co. and the Faisal family of Saudi Arabia. MEFCA’s role was to evaluate and implement projects in the Middle East drawing its clientele from major international companies and from Middle Eastern companies and families. If an evaluation proved the worth of the project to be valid, MEFCA undertook the effort to identify the required funding, the appropriate partner(s) – Arab or non-Arab – and the necessary management structure. MEFCA would extend its involvement until such time as the project was firmly established. In 1981 returned to Brown Brothers Harriman and resigned in 1982 to pursue private interests. In 1982 founded J.J. McCloy, Inc. which operated as vehicle for several private investments. 1n 1984 joined McConnell and Miller, an investment manager, which later changed it’s name to Sound Shore Management. Became Chairman of the Sound Shore Fund, a mutual fund owned and operated by Sound Shore Management. 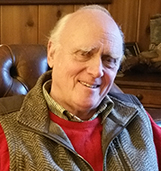 In 1987 resigned to become the Chairman and CEO of Noise Cancellation Technologies, (NCT), a company which electronically cancelled noise and vibration. Over the next eight years, formed joint development ventures with over a dozen major international corporations focused on reducing noise and vibration in a wide variety of applications. 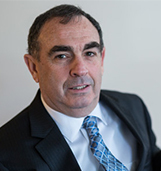 In 2006 joined, as General Manager, Nicholson International, an executive recruitment firm based in London. While in London met the founder of Mondial, Inc. a technology firm based in New York. When asked to become its Chairman in 2008, moved back to New York. Mondial reconstituted itself and reopened its doors as Gravitas Technology. Resumed the role of Chairman of Gravitas until retirement in 2012. Have worked as a consultant and entrepreneur to the present. Member of the Council on Foreign Relations, Round Hill Club, The Everglades Club and the Bath and Tennis Club. Married with two children. Tennis, skiing, hunting and fishing are the principle pastimes.